OneFoundation for Niagara Health System has made a bold step forward, rebranding to Niagara Health Foundation. The new name and a new look reflects the Foundation’s partnership with Niagara Health and the Foundation’s commitment to helping build a healthier Niagara. Niagara Health Foundation fundraises exclusively for Niagara Health and brings people across the region together for a single purpose – to help our local hospitals and their healthcare teams deliver the best possible healthcare, right here in Niagara. Supporting special patient care programs and scholarships and bursaries for students and staff studying medical sciences. Under its new name, Niagara Health Foundation will continue to work with all residents of Niagara to make sure we have the healthcare we need today and in the future. Niagara Health Foundation is prepared to support Niagara Health as it reshapes the way healthcare is delivered in Niagara, focusing on the highest safety and quality standards for all residents. The Foundation looks forward to working with Niagara Health and the Niagara community to support the construction of the new Niagara Falls site and future redevelopment projects. Niagara Health Foundation raises funds to support Niagara Health for the advancement of healthcare in Niagara. 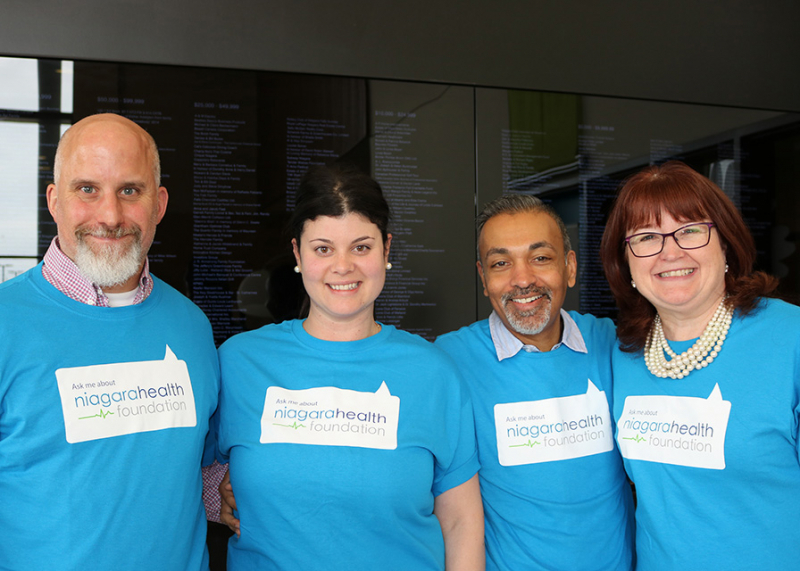 Supporting Niagara Health in its mission, Niagara Health Foundation raises funds for priority equipment needs, redevelopment projects and patient programs at Niagara Health’s six sites, located in Welland, Niagara Falls, St. Catharines, Port Colborne, Fort Erie and Niagara-on-the-Lake.